Money earned through illegal ways and the money earned without paying taxes is called as ‘Black money’. Black money doesn’t always stay black. If a parent uses his black money to pay his child’s fee, it becomes white money in the hands of a school owner. But if the school owner doesn’t pay his taxes, it becomes black money. Lack of effective punishments for those who do not pay taxes. ‘Benami Transactions (Prohibition) Act’, 1988 wasn’t implemented till 2016. Once in a while, tax evaders are given a chance to display their income without facing punishment. It removed the fear of punishment in them. Long process to pay taxes and to file tax returns is deterring some people from paying taxes. Income Tax Department (IT)- It creates a positive environment for paying taxes. It blocks all the opportunities for black money formation. Enforcement Directorate (ED)- It works to curb Money Laundering. Financial Intelligence Unit (FIU) – It works to eliminate Terrorism financing, Counterfeit currency, Hawala money etc. Central Board of Excise and Customs (CBEC) – It ensures central excise tax and service taxes are paid. It alerts other institutions about the ways people are using to escape from taxes. Central Economic Intelligence Bureau (CEIB) – It lists out the tax evasioners. Central Bureau of Investigation (CBI) – It acts against corruption and illegal money. Benami Act (Amendment), 2016 – Benami Act, 1988 is strengthened through amendment. As all these institutions and laws are failed to curb black money formation, Indian Government demonetized higher denomination currency notes all of a sudden on one day in the year 2016. This move was taken because a lot of black money is kept by tax evaders in higher denomination notes. Indian government is taking steps to make things easier for cashless transactions, as that will ensure transparency. Punishments for not paying taxes should be severe. There is a lack of human resources in the institutions working towards curbing black money. More skilled and ethical people needs to be recruited. 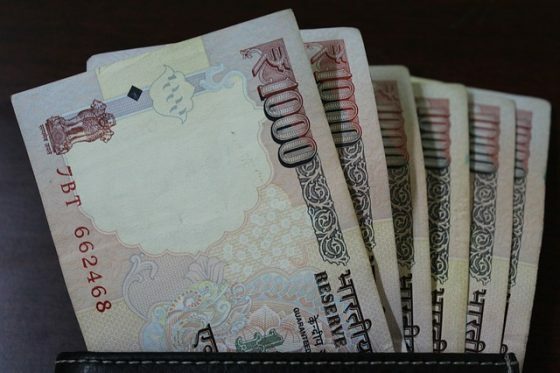 ‘Voluntary Disclosure of Income Schemes’ will only encourage the formation of black money, because tax evaders are in the opinion that they can disclose their income in the next scheme and can be forgiven. Awareness programs about paying taxes should be conducted. Tax processes should be made easier. Till 2016, there were no effective steps to eradicate black money. In the year 2016, Indian Government is tough against tax evaders and is taking effective steps to completely eliminate the black money. It still needs to do more and need to take steps to avoid inconvenience to commoners. In 2016 indian government launched two schemes that are :1.income declaration scheme 2.pradhan mantri garib kalyan yojana .with these scheme tax evaders can utilize to disclose their income(black money) and they can be out of the govt sight i.e CEIB.